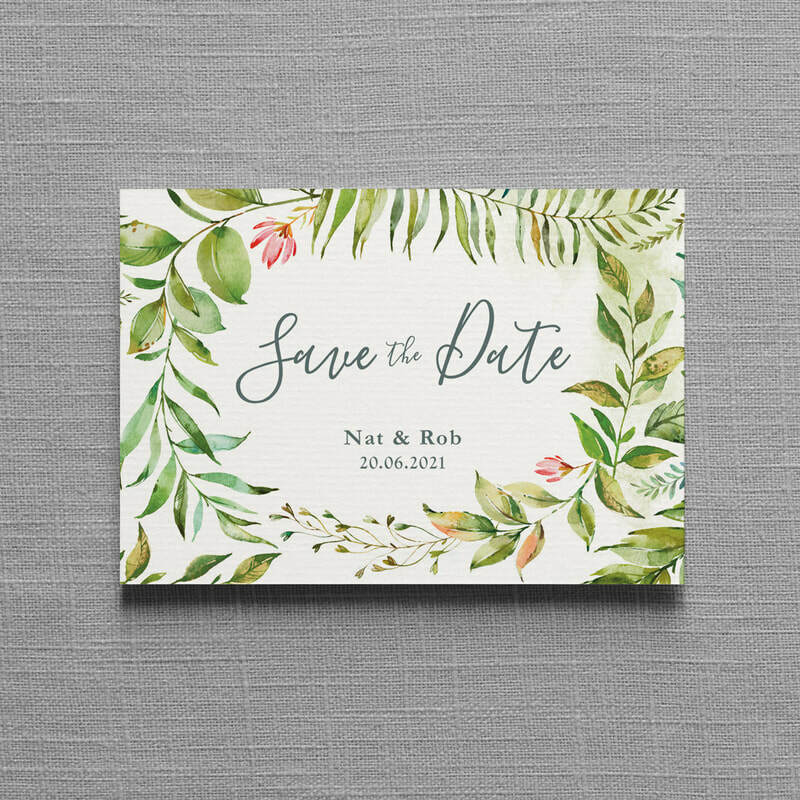 Featuring luscious fresh foliage and handwritten script fonts. 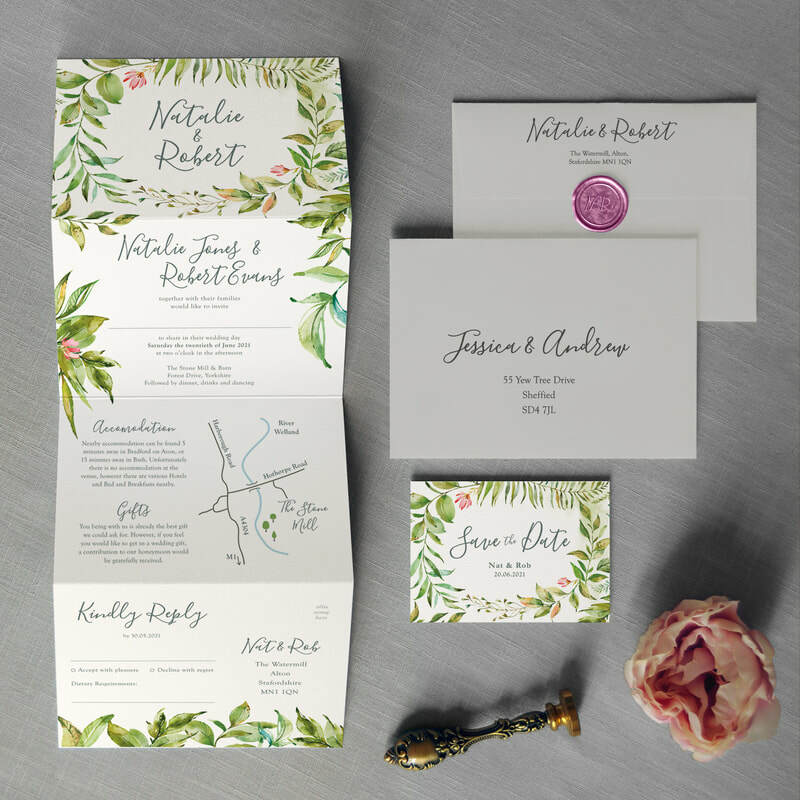 The botanical flourishes flow down the invitation. 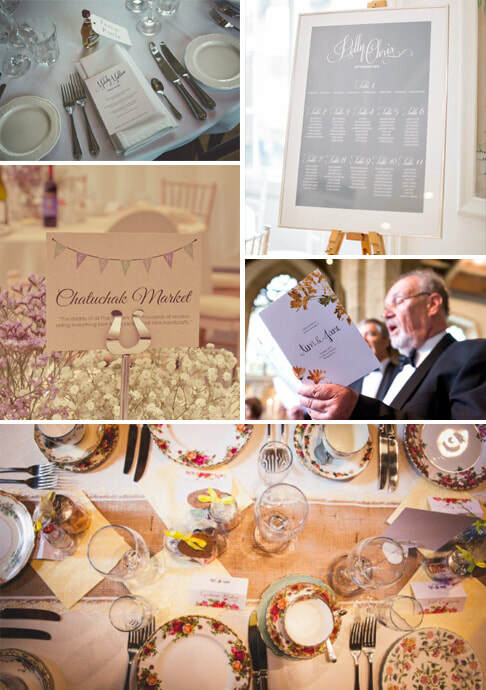 ​Once we receive your order we will email you to get all of your wedding details, and to discuss the design. Then you will receive your first drafts which can be passed back and forth until you are 100% happy to proceed to production. The first 3 rounds of revisions are free (£20 a round thereafter). 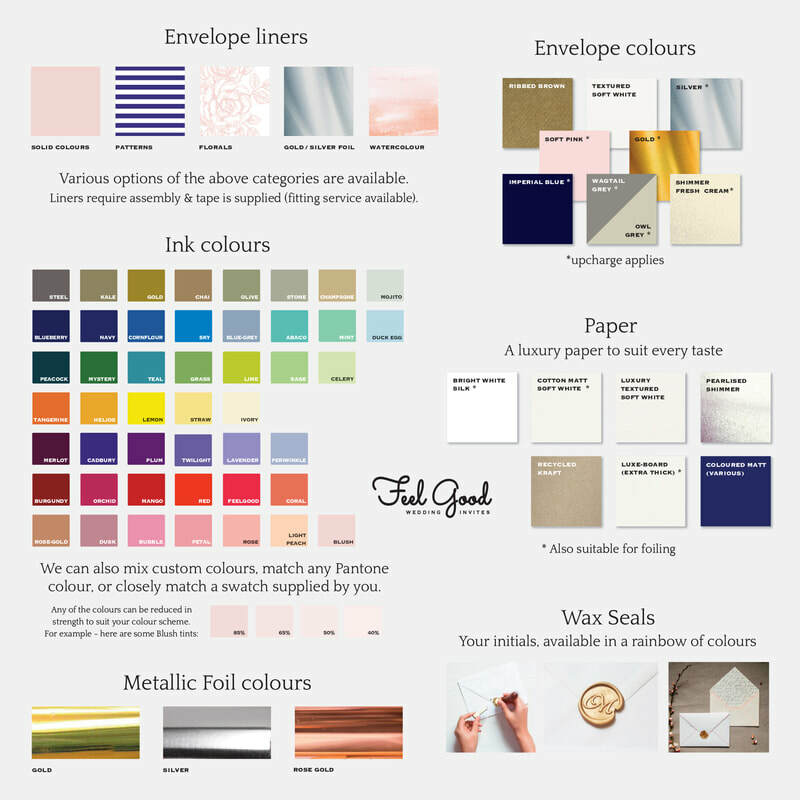 Once finalised you can order a single printed copy to be sent to you for extra peace of mind. 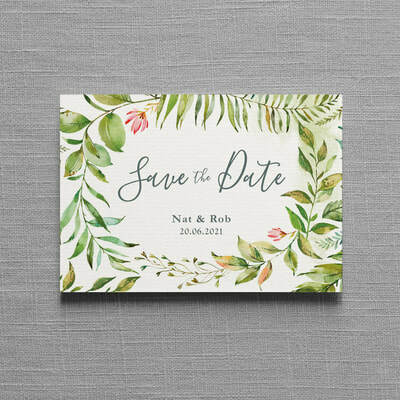 Greenery colour can be changed to suit your wedding.